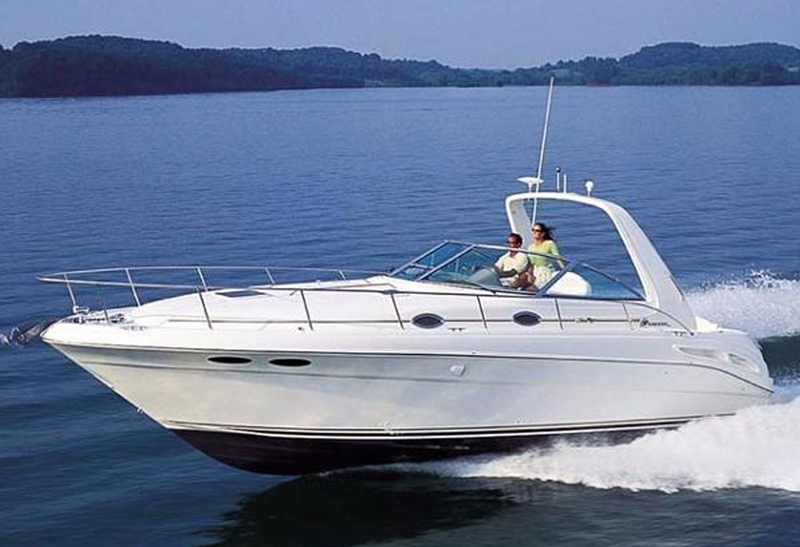 Built for comfort and stability, Hubba Hubba, our 34 foot Sea Ray Sundancer is perfect for a luxury day on the water. 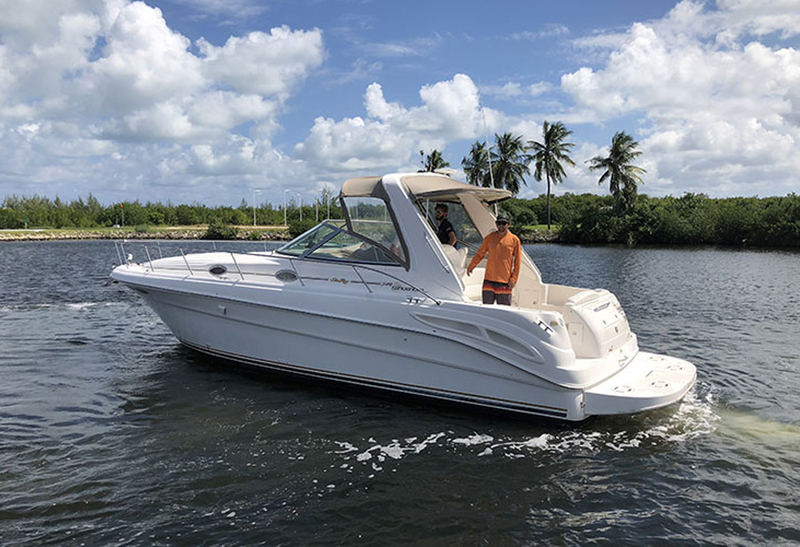 A spacious and versatile boat, Hubba Hubba accommodates up to ten guests and delivers a smooth ride in all conditions. 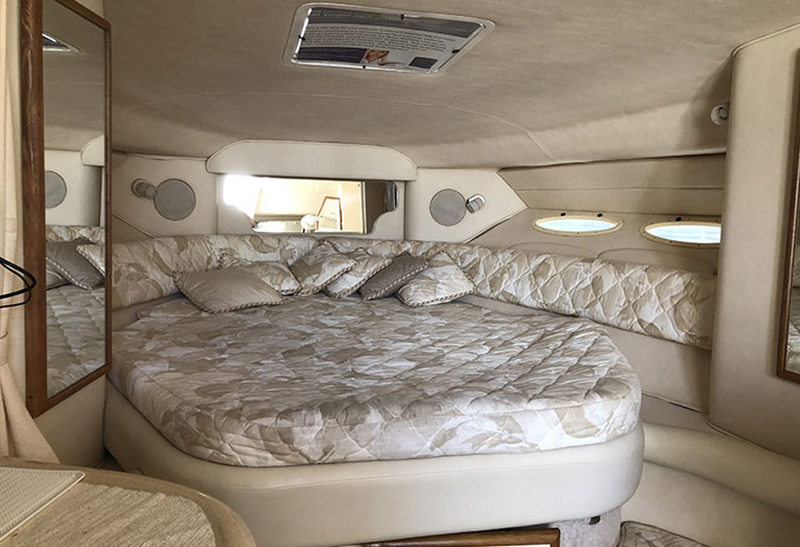 On deck, you can enjoy a spacious covered cockpit that’s perfect for relaxing and entertaining. This versatile outside space features flexible seating, refreshment bar with wet bar and ice-maker and an extended swim deck. 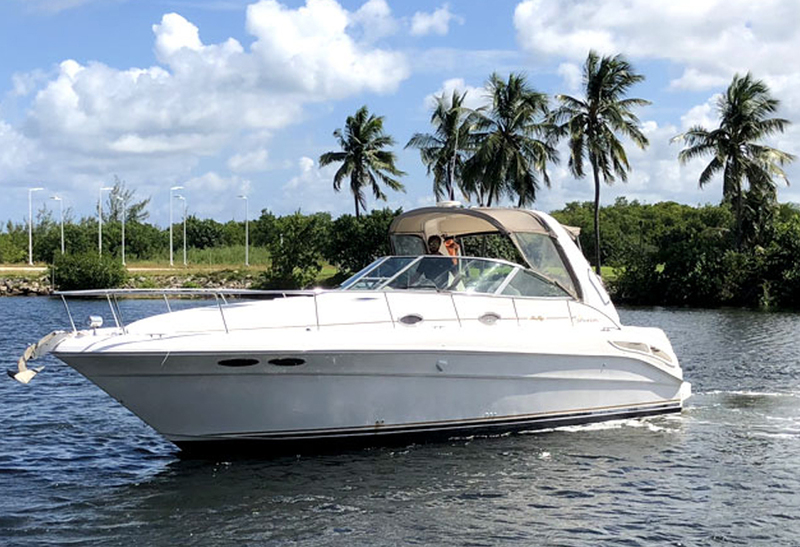 When you want a break from the sun, just step into the spacious cabin and enjoy the convenience of a galley with refrigerator, dining salon with table and comfortable full-sized island bed. The full-height shower room features an electric flush toilet and hot/cold shower. 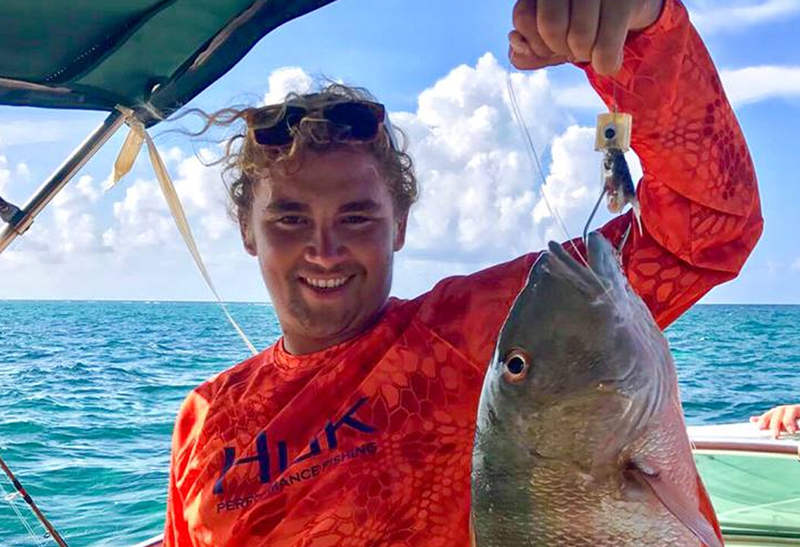 Hubba Hubba is equipped with snorkel gear including vests and spare towels if needed, plus a refrigerator/cooler with ice, bottled water, and juice. And of course, squid to feed the stingrays. You are welcome to bring any additional beverages or food aboard as you wish preferably in non-glass containers. 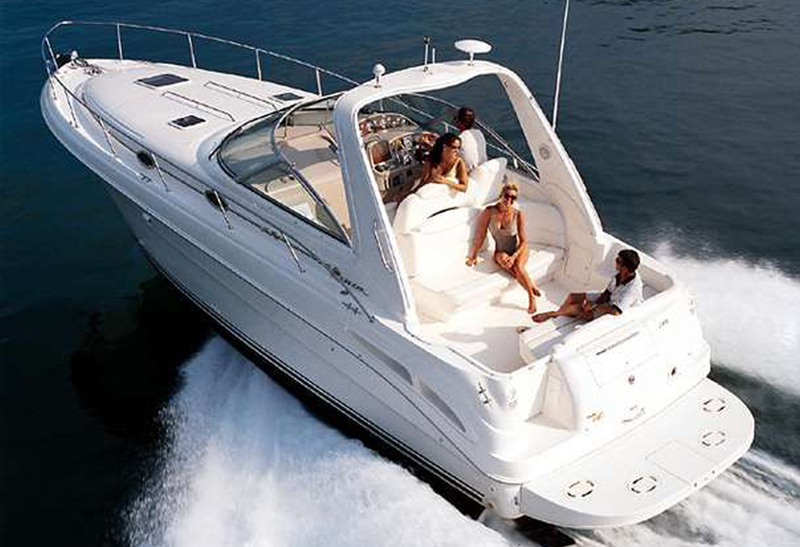 The eight hour adventure will give you time to enjoy all the experiences with total flexibility. 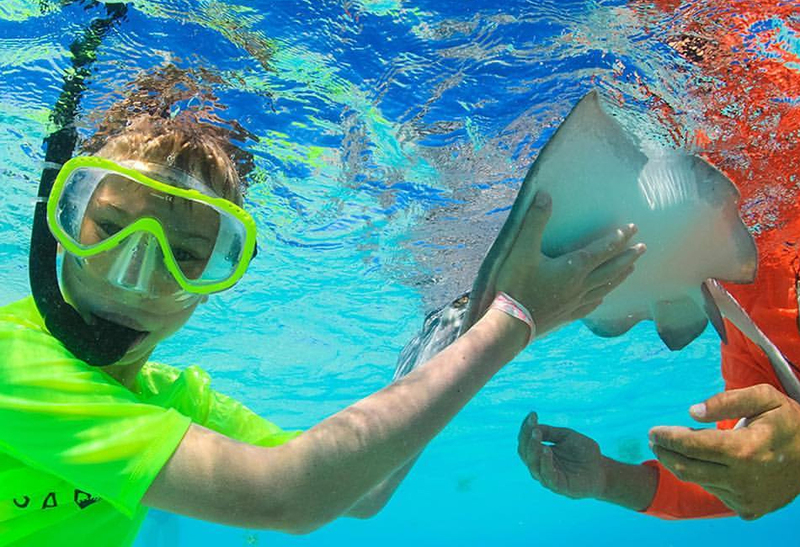 Snorkeling, Stingray City, dining … you’ll have time to do it all. We’ll set your departure at a time to suit you.